Yes it is possible to like your vacuum cleaner and the store that services your vacuum cleaner. "We received your very nice note yesterday and wanted to let you know that we LOVE our Sebo. It's easy to use and picks up the vast amount of Saint Bernard hair that we have all over the house. Love the length of the cord and the ease with which we get around!" "I absolutely love my new central vacuum. I am so glad that I listened to you and upgraded. Ron was wonderful (and very funny). You will definitely be hearing from me soon. My carpets need a good cleaning. Thanks again." "As i told you when I picked up the Rainbow, I am very happy to know that a local business in the village can effectively repair the vacuum. The work was done in the time period you stated-- (ONE DAY !!) which was great! The vacuum works like new now. 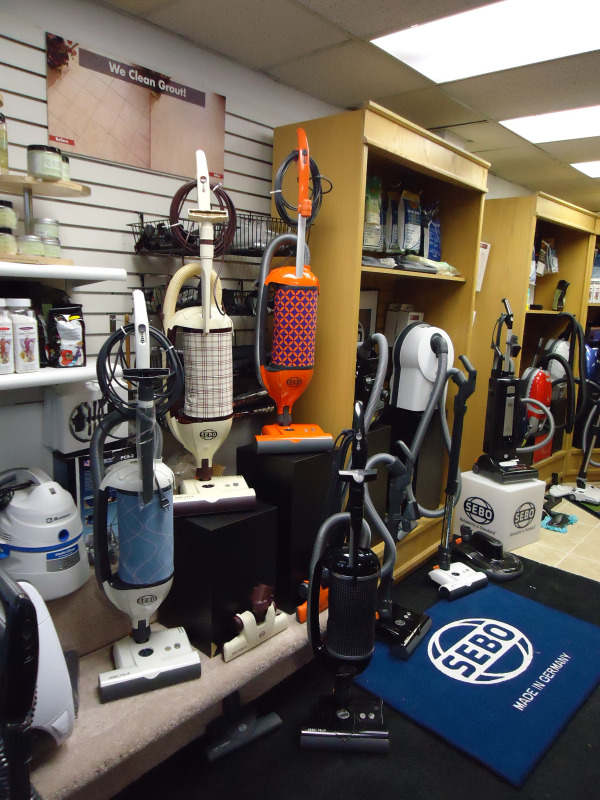 I will not hesitate to recommend your company to any one who need repairs done on vacuums.